Tanzania Royal Safari of 7-nights includes 5-star Serena Lodges accommodation with an internal flight to Serengeti National Park. 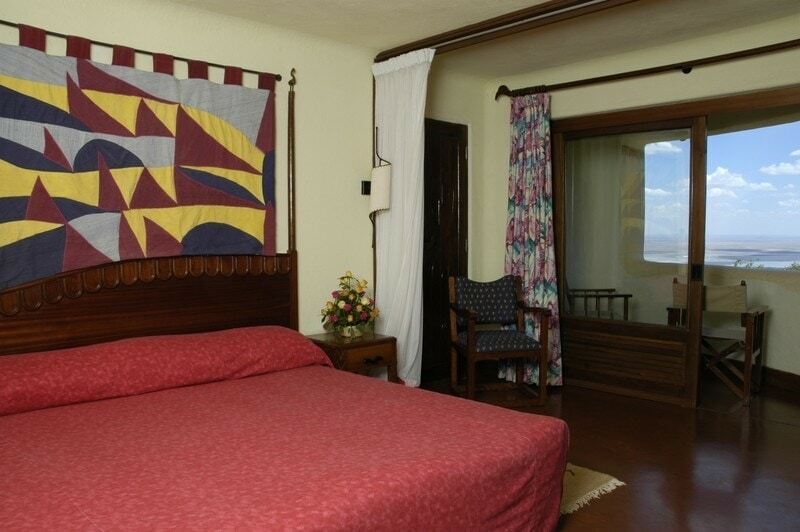 An overnight in Arusha is included on arrival at the stunning Lake Duluti Serena Hotel. Experience the royal tented accommodation at Kirawira Luxury Tented Camp in Serengeti West for memories of a life-time and much more on this Tanzania Royal Safari circuit. Departures every Saturday from Arusha Town. Stunning vistas of the Rift Valley from Lake Manyara National Park. Descend into the Ngorongoro Crater for superb game viewing. Wonder at the vast game-filled plains of the Serengeti where lions, cheetahs and hyenas stalk their prey. 7 Nights of Tanzania Royal Safari with 5-star Safari accommodation. If you are looking for seclusion, luxury and the ultimate in fine service – all located in one of the most remote areas of the Serengeti – Kirawira Tented Lodge is an experience not to be missed. The most exclusive of the Serena Group’s many safari venues, and a member of the Small Luxury Hotels of the World group, Kirawira Tented Camp offers the epitome of classic ‘Out of Africa’ safari camp luxury. Hot air ballooning over the vast Serengeti plains is the ultimate game viewing experience. After your sixty minute ride, you are met by the ground crew for the traditional “Champagne breakfast” followed by a magnificent breakfast, cooked and served on the Serengeti. 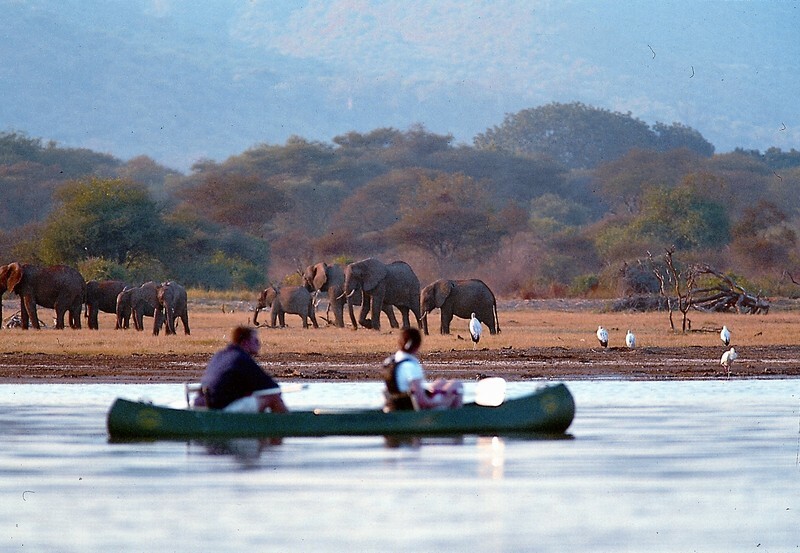 The special cost for this optional excursion is £365 per person when purchased with this safari. Ngorongoro Crater is a huge caldera (collapsed volcano) 300 square km in size, 19.2 km in diameter and 600 meters deep. It is home to one of the world’s largest inactive and unflooded volcanic calderas . The Ngorongoro Crater supports year-round resident wildlife. Predatory animals: Lion, Leopard and Cheetah, several cats and large packs of Hyena roam the Ngorongoro Crater, making their own kills and scavenging from others. 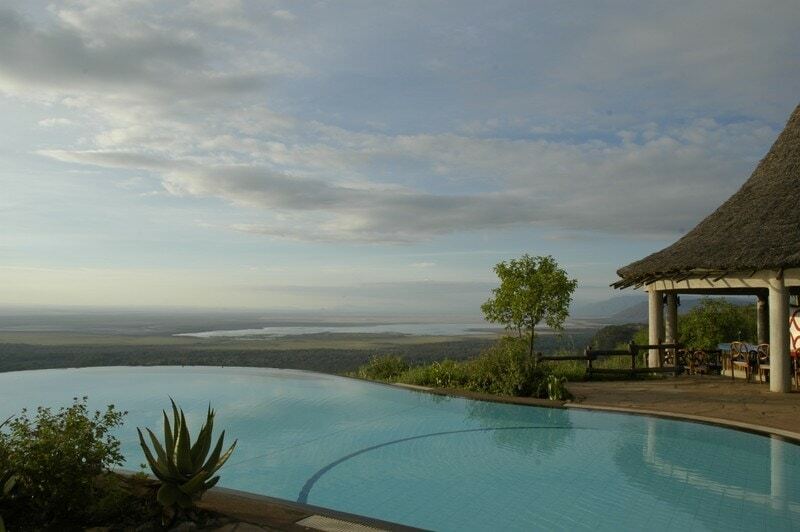 Lake Manyara Serena offers breathtaking views of the Great Rift Valley . 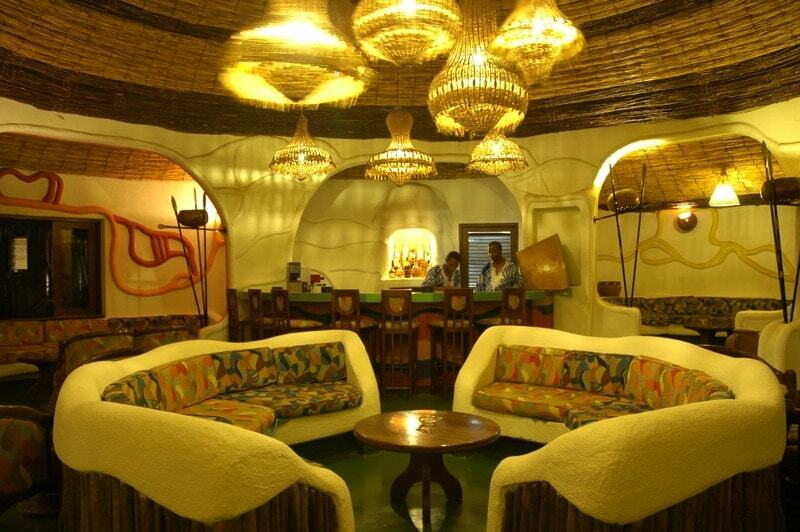 Built in the traditional African circular theme, it is free flowing and graceful. Lake Manyara is warm to hot throughout the year, with temperatures rising to above 35°C/95°F during September, October and January. The rainfall is seasonal, with two dry periods and two rainy periods during the year. Short, late-afternoon or evening thunderstorms occur in November and December, as well as from March to May. The dry periods last from June to October, and January and February. Best time to travel: All year round, best game-viewing August to September and December to February. The central Serengeti is home to the beautiful Seronera River Valley. The combination of location and resident prey attracts the largest populations of predators in Africa. It is this amazing abundance and diversity of easily seen large predators that attracts thousands of visitors to the Seronera River Valley each year. There is simply no better place in Africa to observe these large carnivores. It is not unusual to see all four large predators (lion, hyena, leopard and cheetah) during the course of a day in the central Serengeti. A night or two at the Serengeti Serena Lodge will fit nicely into every itinerary and will appeal to those people seeking comfortable lodge-based accommodation in the action packed area of the Central Serengeti and Seronera . The Seronera River Valley in particular, with its abundance of resident animals including all the big carnivores, is a must see no matter what time of year. Although there is plenty of resident wildlife to witness all year long, Kirawira offers especially splendid game viewing from May through mid July during the northward wildebeest migration. During the northward migration, Kirawira boasts a front seat to the thunderous theatre that is the million-strong wildebeest migration. Additionally, throughout the entire dry season (May to November), the surrounding area offers great wildlife viewing for resident animals including giraffe, elephant, lion, hyena, impala, topi, crocodile, hippo and several species of primates including the beautiful black and white colobus monkey (this species is only found in the Western Serengeti). Kirawira can also make a great spot in November when a portion of the southward migration may pass through the area especially if the onset of the rains is delayed. During November, some of the migratory wildebeest and zebra accumulate in the Western Serengeti before making their final southward leap to the southern Serengeti Plains. The perfect extension after a Tanzania Royal safari is a four night beach holiday in Zanzibar staying at an All Inclusive Beach Resort. See Zanzibar Beach Holidays for options or contact us to design a suitable package inclusive of flights from your closest Airport. Dinner and Overnight: Serena Mountain Village. An exciting beginning to your safari as you fly to Serengeti. The world famous Serengeti plains are the most spectacular gathering of wildlife on earth. In the magnificent area of over 6,000 sq miles, the variety of wildlife is endless. 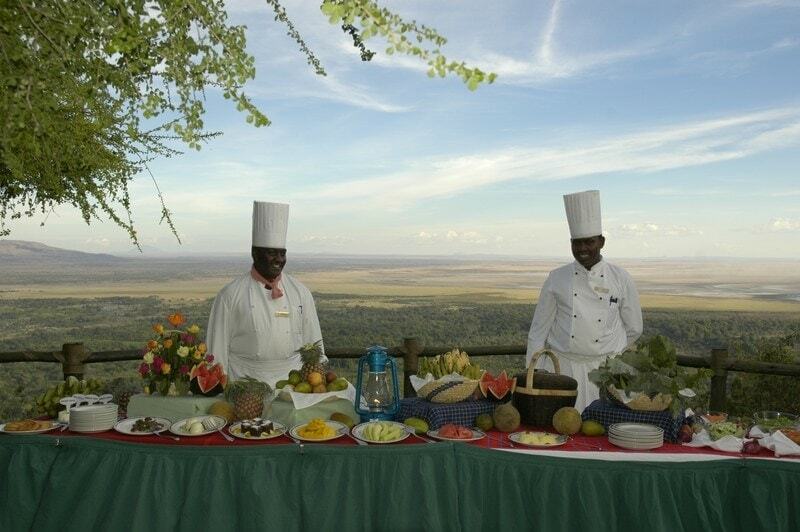 You will have a night at one of the most luxurious Camp in East Africa. Your game drives are in different locations of the park with sightings of plain games, lion, leopard, cheetah, buffalo, elephant, hippo, giraffe and numerous fascinating lesser-known animals. The Serengeti is best known for its great annual migration, but the resident populations of animals are excellent all year round. Drive to the centre of Serengeti – You will have 2 full days in Serengeti Park. Millions of animals and birds thrive in the park ‘s vast savannah and hilly woodland, and the luxurious Lodge is superbly located on the hill with a fascinating view of the Serengeti plains. Start the day off with an early morning Safari in Serengeti National Park. Return to the Lodge for breakfast and enjoy the rest of the day with further game drives of the Serengeti Park along with meals. This morning depart from the Serengeti to the Ngorongoro Crater, stopping en route at the Olduvai Gorge made famous by the Leakey Family who began their excavations here in 1931. Abundant fossil material dating back more than a million years, including hominid remains of Zinjanthropes bossei, discovered here. After breakfast, transfer down to the crater for a day of game viewing. Packed lunch will be provided. The first light of the day sends its golden shafts under the ethereal mist and fog hovering on the rim to spill in puddles of gold on the Crater floor far below. The Crater is actually a huge caldera or collapsed volcano, 12 miles across, providing a Garden-of-Eden like home for the thousands of animals that live there. This morning you will transfer to the Lake Manyara National Park, home to the huge migratory pink Flamingoes. The park has a large variety of habitats, making it possible to support a wealth of wildlife in its small area. 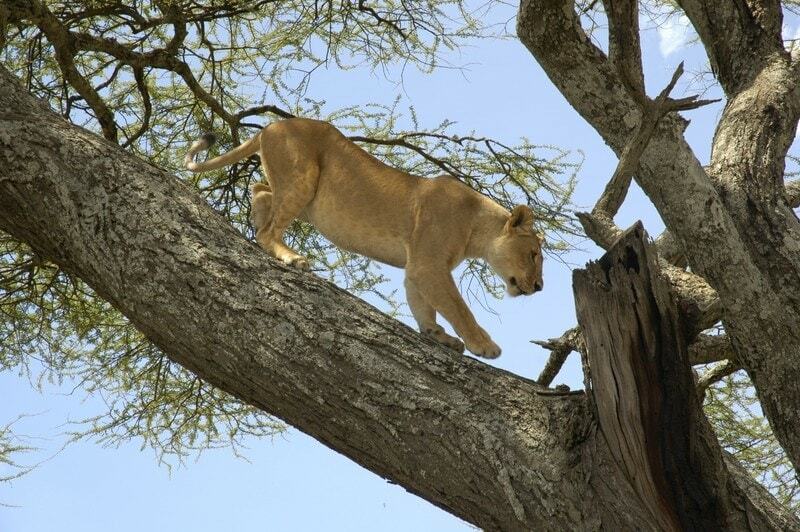 The most famous spectacle in the park is the tree-climbing lions, which are occasionally seen along branches of acacia trees. Other animals found in the park include buffalo, elephants, leopards, baboons, impala, giraffes, zebra, wildebeest, ostrich and hippos. After checking into your lodge, enjoy an afternoon game drive in the Park. 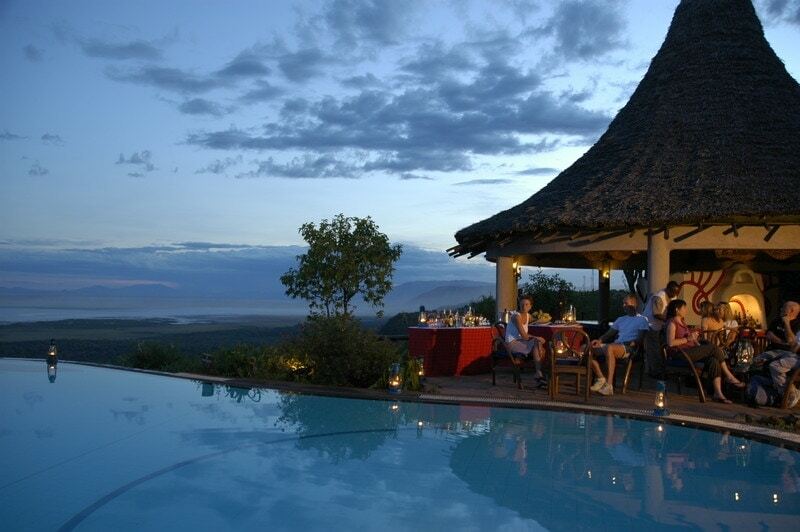 Overnight: Lake Manyara Serena Lodge. This morning, enjoy a game drive in Lake Manyara Park. Return to the lodge for breakfast and transfer to Arusha. Lunch may be taken in Arusha. Transfer for your return flight from Kilimanjaro Airport or proceed with your chosen beach extension to Zanzibar. Located on the far end of Western Serengeti, atop a hill with sweeping views of the surrounding plains, Kirawira Camp is a unique blend of Victorian and African craftsmanship, combining the adventure and the excitement of the pioneering African with the essential luxuries.The lodge lies just south of the Grumeti River, which runs almost the entire length of the corridor. Accommodation: Elegant yet intimate, accommodations consist of just 25 luxurious sleeping tents, 3 main tents (bar/lounge, dinning, gift shop) and an immaculate swimming pool. A charming blend of native wood, stained glass and jewel-hued Persian rugs compliment the African art decor. 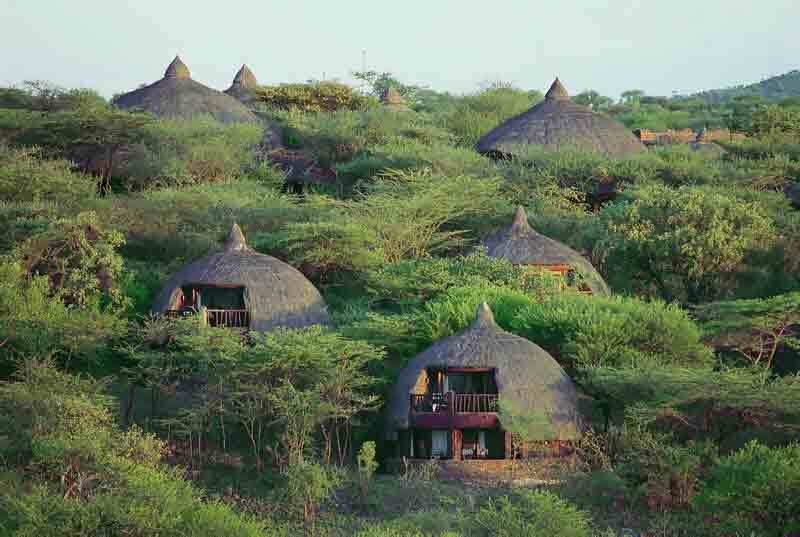 Serengeti Serena Lodge is set high on a hill with breathtaking vistas of a landscape teeming with game. The wildlife defines the Serengeti – countless zebra, buffalo, gazelle, wildebeest, and other species make it their home. Big game feed in full view of the lodge itself. Centrally located adjacent to the famous Western Corridor and Grumeti River, the lodge has been designed to blend completely into the living landscape. On the very edge of the ridge is a ‘vanishing horizon’ pool, which looks out over the ‘endless plains’ after which the Serengeti is named. Accommodation: 66 rondavel rooms….each bedroom has ensuite bathrooms as well as its own balcony with views across the Serengeti plains. Built in the traditional African circular theme, it is free flowing and graceful, with hardly a single straight line in its design. Accommodation: The lodge has a total of 67 en-suite guest rooms and a swimming pool. Each spacious circular room has its own small veranda. Close to Olduvai Gorge, “the cradle of mankind”, the stunning Ngorongoro Serena Safari Lodge has been built around the theme of prehistoric life. Constructed into the crater rim in stone, the walls and terraces are skilfully set to match the existing contours of the site. Accommodation:The Lodge has 75 en suite rooms, with private terraces and uninterrupted views of the 102 square mile crater floor rich in wildlife. Decorated with cave paintings, the rooms are strung around the Crater rim. Each has its own rock- enclosed balcony, and all enjoy completely uninterrupted views of the volcanic amphitheatre far below. 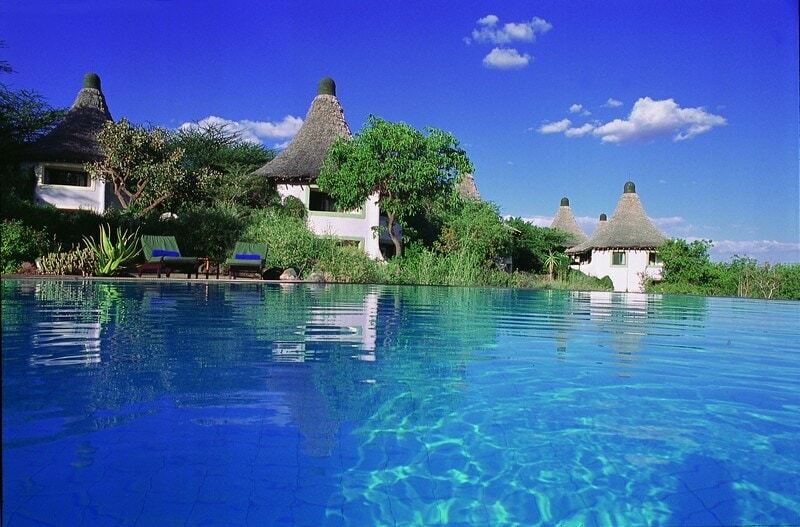 • 7 Nights Accommodation in 5-star Serena Lodges . • Transportation in a 4×4 Safari Vehicle & Internal flight Serengeti National Park to Arusha. • Services of an English speaking driver-guide, game viewing drives and park entrance fees as indicated in the itinerary. • All meet and greet services. • Two-way long range high frequency radio communication in each vehicle. • On safari accessories in each vehicle: First-ad kits, wildlife books, cool box and fire extinguisher. • All items of personal nature .